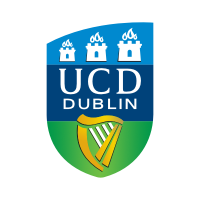 UCD today is a leading European research-intensive university where third level undergraduate education, fourth level postgraduate masters and PhD training, research, innovation and community engagement form a continuum of activity. We strive to advance knowledge through high quality research and scholarship, to communicate knowledge through excellence in teaching and to use new knowledge to develop the businesses, products, policies and services of tomorrow. Through innovative links in Ireland and internationally, UCD has forged exciting educational and research partnerships and collaborations with other academic, industrial and not-for-profit organisations. UCD aims to foster ideas, cultivate learning, encourage discovery and provide an enabling environment for holistic development of students. The university is home to over 3,500 international students from over 100 countries. UCD runs overseas programmes in partnership with leading international universities and education providers in China, Hong Kong, Malaysia, Singapore, Spain, and Sri Lanka. UCD students have access to a range of study abroad opportunities through the Erasmus Mundus programme and through UCD’s membership of the Universitas 21 network of global research universities. Our academics operate in an environment that encourages cross-disciplinary research, thereby drawing on the academic diversity that is UCD’s great strength, and collaborate extensively both within Ireland and with leading international research institutions. In particular, the UCD School of Biomolecular & Biomedical Science (SBBS) hosts staff from the disciplines of microbiology, biochemistry, pharmacology and a small number from physiology. These disciplines fall under the overarching umbrella of bio-research which has been highlighted as a national priority in which Ireland can be internationally competitive. Research within SBBS aims to determine how biology systems operate and interact with their surroundings. Over 30 academic staffs with international standing are focused on key biological areas and in particular structural biology that underpins applied research in the area of bio- and nanotechnology, sustainable chemistry and bio-medicine. This is necessary for the engineering of enzymes for specific industrial processes. In addition, determination of the structure and function of bio-macromolecules in relation to their integration and regulation in complex cellular processes is needed to understand living cells better. The school is highly research intensive and special emphasis is placed on translating fundamental discoveries to applications. The diversity of our expertise is a major facilitator for interdisciplinary scholarship and research and provides the school with a unique forum to investigate biological systems at molecular, cellular and whole organism levels. UCD will lead WP3 (Monomer metabolism) and will also contribute to WP1 (Project management and coordination), WP7 (Multi-tiered model-based design) and WP8 (Dissemination and exploitation). The group of Prof. O’Connor will apply its expertise on the utilisation of plastic-derived monomeric carbon sources for value added products and the engineering of P. putida for efficient monomer metabolism (WP3). Bio-process modelling and bio-process development of P. putida is another key strength of the Prof. O’Connor group, which will be employed to enhance productivity and to develop methods for upscaling (WP7). UCD will also take an active role in dissemination activities from P4SB (WP8). Prof. Kevin O'Connor is an associate professor at the School of Biomolecular and Biomedical Science, Head of the Microbiology Department and a Principal Investigator at the Centre for Synthesis and Chemical Biology at UCD. Prof. O’Connor has uniquely developed and patented technology for converting plastic waste into a bio-degradable plastic. He has filed five patents relating to biopolymer production and product development. Prof. O’Connor has a strong background in technology development for PHA-production, molecular investigations of PHA-production as well as protein engineering (random and site directed) for biocatalyst development and fundamental understanding of enzyme activity. He has published over 70 international scientific papers. He is the Chair of the scientific committee for the Biobased industries Joint Undertaking (BBI JU) and a member of the EC expert group for biobased products. He is a member of the editorial board of Applied Microbiology and Biotechnology. 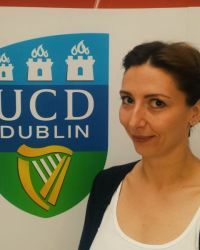 Dr. Tanja Narancic is a post-doctoral researcher in the School of Biomolecular and Biomedical Science at UCD. She is also part of the UCD Earth Institute. Tanja received her degree in biology from Belgrade University in 2006 and her Ph.D. degree in 2012 from Belgrade University. Tanja has an extensive background in molecular biology and for the past two years has been specialising on waste conversion to biodegradable polymers. 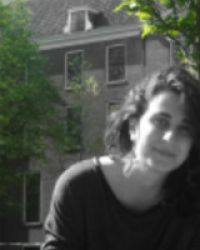 Dr. Marta Saccomanno is a post-doctoral researcher at the School of Biomolecular and Biomedical Sciences where she investigates the conversion of petrochemical plastic monomers into biodegradable polymers by Pseudomonas spp..
Marta’s background is in environmental biotechnology, she holds a M.Sc. from the University of Perugia and she conducted her Ph.D. at UCD Dublin, investigating the catabolism of halo-aromatic compounds. She has a strong research interest in environmental microbiology and in the biotransformation and biodegradation of organic pollutants. Niall Beagan is a PhD student of Prof. Kevin O'Connor in the school of Biomolecular and Biomedical Sciences, UCD. 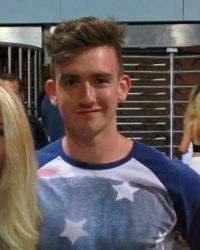 Niall completed a Society for General Microbiology funded summer studentship in 2015 and graduated from UCD in 2016 with a degree in Microbiology. Niall is interested in areas involving biotechnology and its involvement in the creation of a clean, sustainable environment.